Rev. 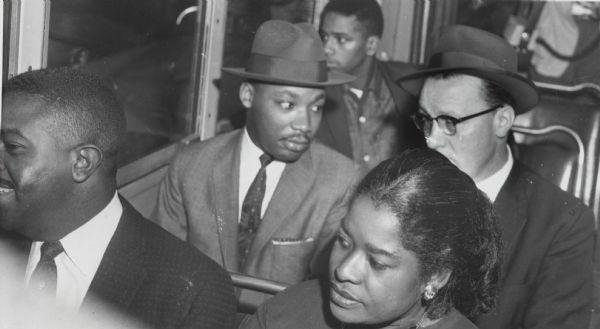 Martin Luther King, Jr. riding a bus with white Methodist minister Glenn Smiley during the Montgomery bus integration struggle. The man seated in front of King is thought to be Ralph Abernathy.